Baby Light brand was conceived by its creator who has a vast experience for over 40 years in cotton clothing manufacturing for kids. And with lots of effort and continuous work, he as able to achieve his dream with a small manufacturing place early 1987. 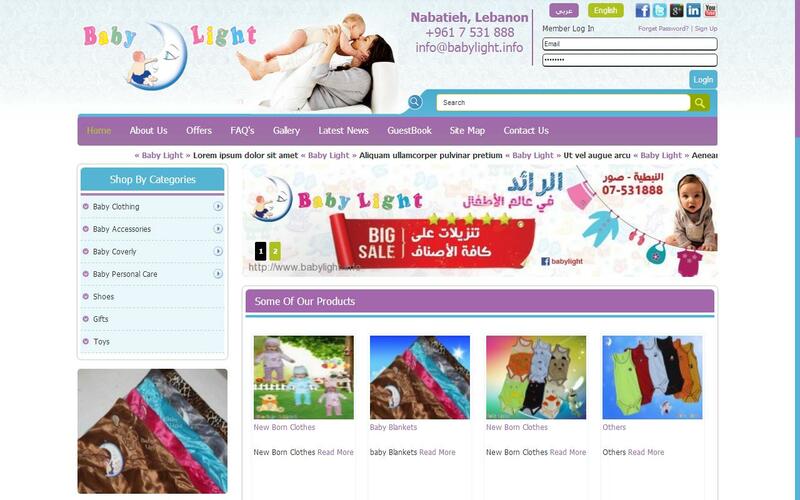 It was a complex launch regarding the tough competition that existed in the kids market, but due to affordable prices and high quality products, Baby Light easily achieved confidence by consumers through the years, and our fame after 30 years is the best witness. And now the manufacturing facility has grown to 3 times its initial size and we have been able to penetrate all the Lebanese Market. We are happy to provide our consumers with a greate line of all the New Born and kid needs from cotton wear for todlers 0 to 3 years old inclding underwaear and pyjamas and body and socks and furniture including bed and covers and some goods exported by our name brand.